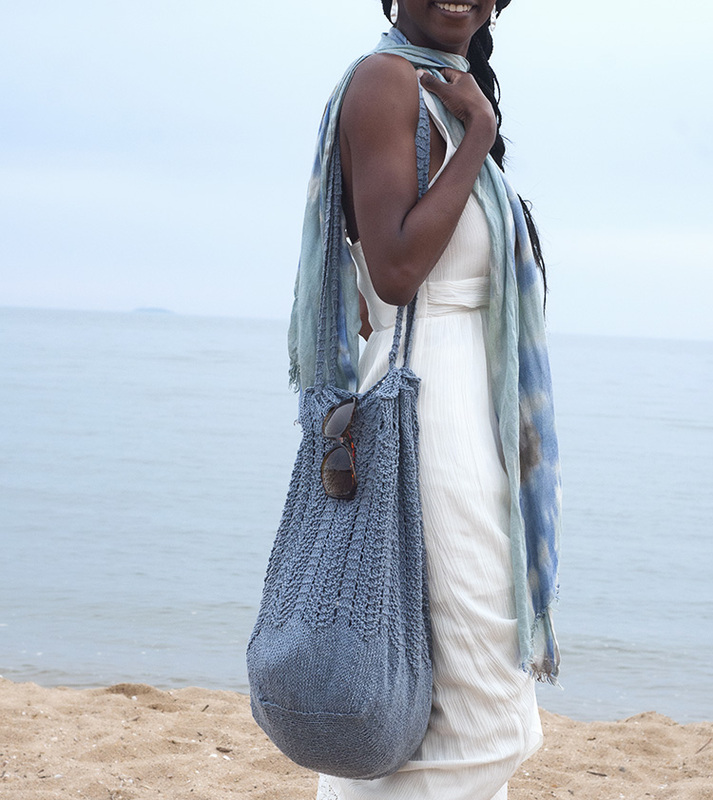 searsport market bag: it's beachknitting time! Here in the US it is the official start of beach knitting season, the best season of all. That is not just my opinion. Some knitters think of knitting as a winter/cold weather sport. Not me. I am happiest taking a good long swim, then plopping into my beach chair and knitting by the water. 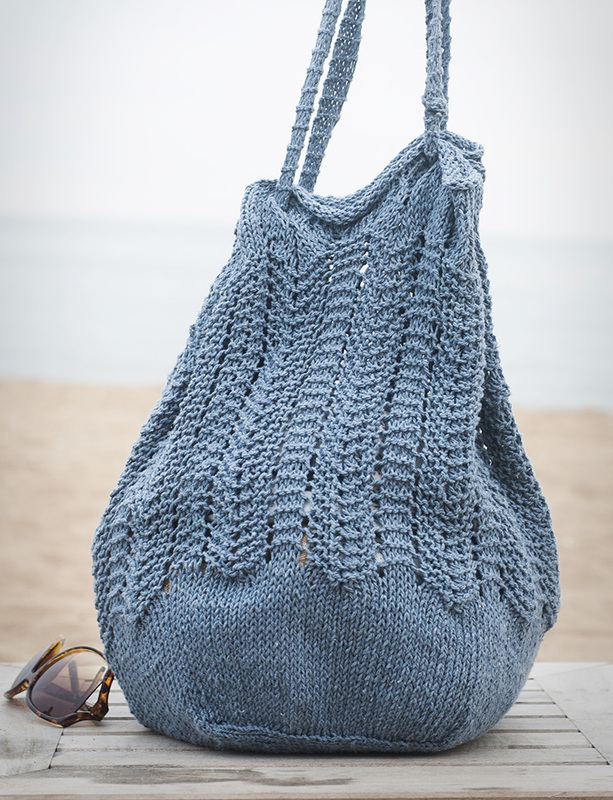 I've always thought of the Searsport Market Bag in our book as a Kick Off the Summer knit: first you make the stretchy bag, then you spend the rest of the summer carrying your Important Things (towel, knitting, swim goggles, beverage) to the beach in it. It's a pretty relaxing knit, which is good for this time of year. It is quite roomy when the simple stitch pattern stretches, which is a desirable trait, although not everyone wants to rock the super slouchy look. If you prefer a more stable shape , here's a simple tutorial of ways to line a knit bag. I particularly like the suggestion of attaching a lining with buttons. This instructional has photos of every step to sew in a lining. While brainstorming for our book's No Sheep at the Shore chapter, we wanted only patterns you'd knit out of non-wool, non-fuzzy yarn. Our other requirement was the designs should be pieces you'd use or wear while at the beach. That's how Mary Lou Egan came up with the pattern. She named it after the Maine coast town where us three authors were staying while we were developing the ideas for the book. And same place, a year later, gave it a final edit. We always called it The Beach Bag until it was dubbed the Searsport. During the photo shoot for the book, I shot our model Josephine carrying it while wearing a sundress. When I look at it, I want a Seasrport Market Bag to use as a summer everyday purse, for my non- beach life. Maybe in the lightest off white shade of Berroco Indigo, and line it with flowery summer fabric. 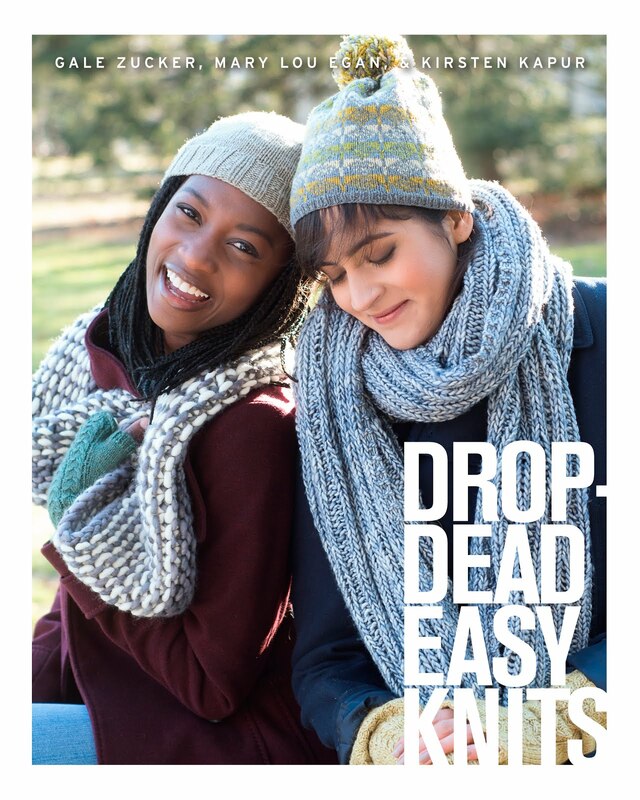 *When Mary Lou Egan, Kirsten Kapur and I decided to try to take turns blogging about the patterns, this year, in our collaborative book Drop Dead Easy Knits, we jokingly (or so they thought) considered doing so in limerick. I'm going to give it a try.